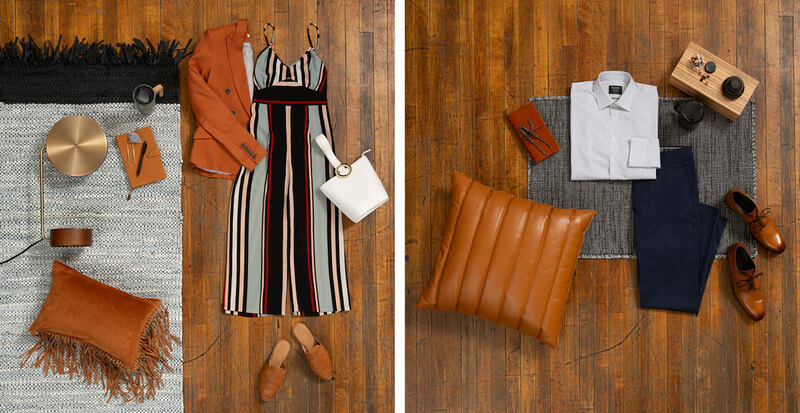 The Trunk Club Live Your Style campaign, in partnership with CB2, celebrates personal style, both in your wardrobe and your home. Each season, we’ll be exploring how trends in fashion and interior design inspire each other, and help people live more stylishly. As we prepare for the dog days of summer to transform into a familiar autumn chill, we’re inspired to refresh our wardrobes­—and our homes. While the warmer months are spent in airy fabrics, light hues, and breezy silhouettes, fall inspires us to move into warmer tones and a more sophisticated, tailored style. This fall, you’ll find us at the office in a mix of crisp, structured fabrics and cozy textures, and our homes are following suit. We’re seeing fall workwear-inspired trends and fabrics being peppered into rugs, throw pillows, and other accessories. Keep scrolling to see what we mean. To match the crisp fall air, we’re adopting sharp, clean lines and stripes into our closets and decor. A vertical stripe looks polished, professional, and makes us stand a little bit taller. Likewise, home accents with sharp lines—such as pillows, vases, and serving trays—draw the eye and feel refined. Nothing says “back to business” better than well-fitting trousers. Gone are the loose-fitting linens and light cottons, and out come the sturdier tweeds, wools, and leathers. 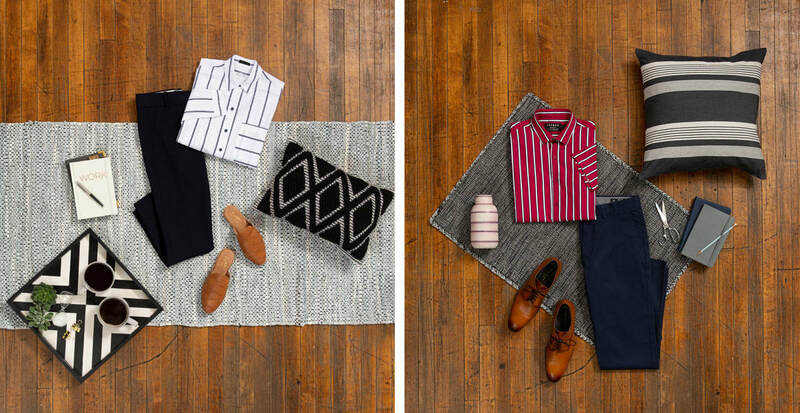 If the sophisticated sartorial life is your cup of tea, home pieces with perfect tailoring and detailed stitching (like the saddle brown leather pillow or woven rug), will tie all the components of your style together.